Applying basic chess tactics to running your finances can help you become a better investor. One of Grandmaster Susan Polgar’s most important lessons when coaching chess is to “look at the whole board.” In both chess and investing, you need to base your decisions not only on your current situation but also on the big picture. While the squares directly in front of you may seem to be totally clear from any danger, other squares that are slightly further away may be more perilous for you. Similarly, when you make investment decisions, look at the long term as well as at your current situation. Very often, a game of chess is won through taking small steps rather than through sweeping, dramatic moves. A good strategy is to build up both your attack and defense gradually, accumulating small advantages along the way. Similarly, as an investor, you need to take small steps, such as putting away regular savings and contributing to retirement accounts. When you take small steps to increase savings, you let the magic of compound interest and time work to your advantage. Chess players continually review the tactics and strategies they employ on the board in order to improve their game. In the same way, you should review your finances on a regular basis. Life, like the chessboard, is always in motion, so make sure that your financial plan continues to be relevant for your personal situation. By making regular financial reviews, you’ll have a better grasp as to when and how to tweak your investment strategy. 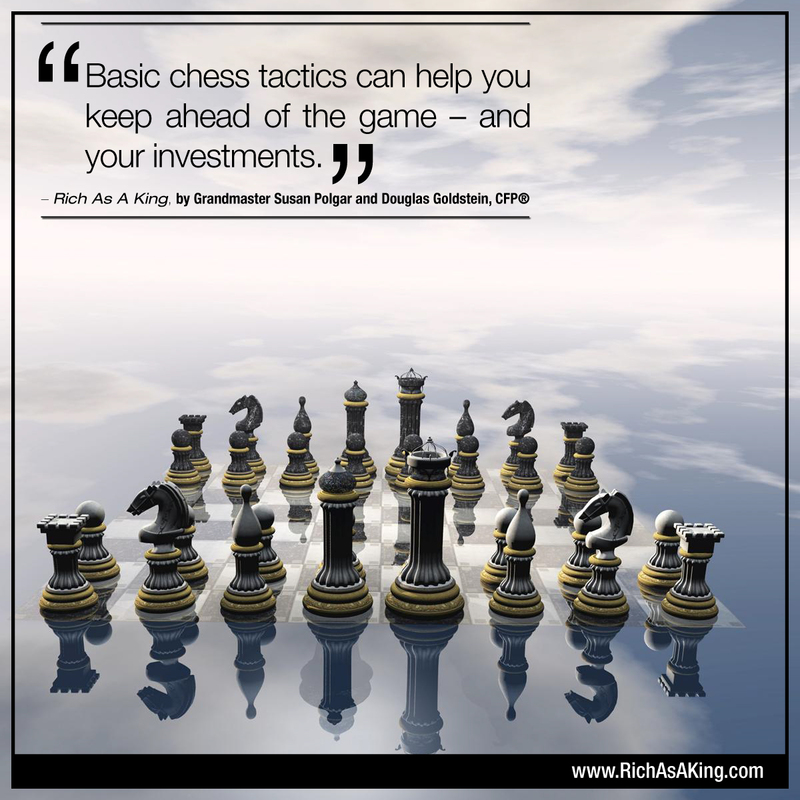 If you want to find out about more chess tactics that can help you become a better investor, read the book Rich As A King: How the Wisdom of Chess Can Make You a Grandmaster of Investing, which I co-authored with Susan Polgar. In it, you will find many strategies and tactics that you can apply to both to chess and your personal finances.